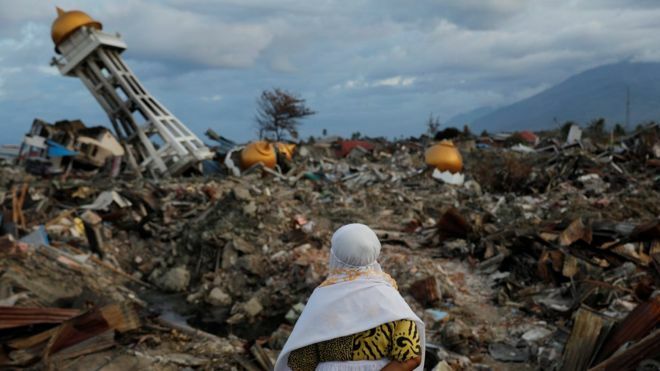 Nearly 2000 bodies have been recovered from Palu since an earthquake and tsunami hit the Indonesian city, the officials said warning the number would rise with thousands still missing. The death toll from the twin disaster on Sulawesi Island that erased whole suburbs in Palu has reached 1,944, said local military spokesman Muhammad Thohir. “That number is expected to rise because we have not received orders to halt the search for bodies,” Thohir, who is also a member of the government’s official Palu quake taskforce, told the press. Authorities have said as many as 5,000 are believed missing in two hard-hit areas since the September 28 disaster, indicating far more may have been perished than the current toll, which make the hopes of finding anyone alive to reduce and the search for survivors amid the wreckage has turned to gathering and accounting for the dead. The disaster agency said the official search for the unaccounted would continue until October 11 at which point they would be listed as missing and assumingly dead. 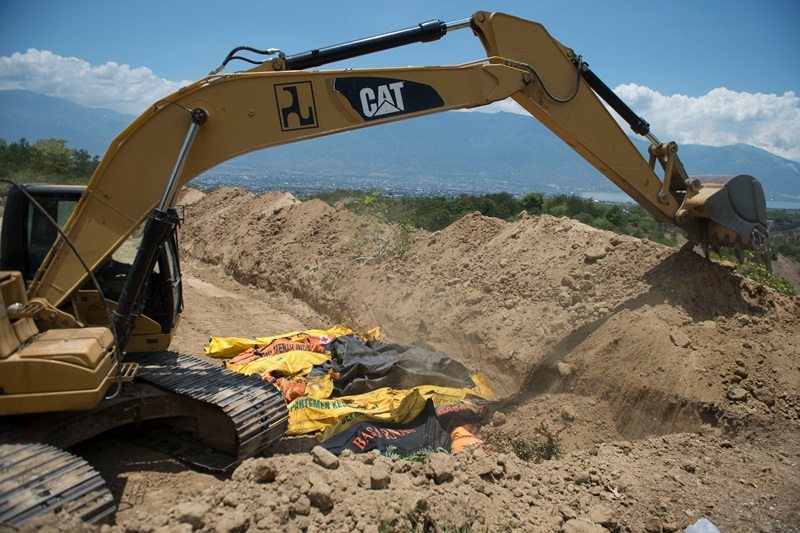 The government has said it will declare those communities flattened in Palu as mass graves and leave them untouched. Gopal, whose aunt and uncle are missing, picked through wreckage Monday knowing just days were left to find his loved ones. Excavators and rescuers combed Balaroa on Monday, where a massive government housing complex was all but swallowed up by the disaster. Rescuers have struggled to extract decomposing bodies from the tangled mess left behind. Officials say as many as 5,000 people were feared buried at Balaroa and Petobo, another decimated community. Petobo, a cluster of villages was included when vibrations from the 7.5-magnitude quake turned the soil to quicksand a process known as liquefaction. Relief efforts have escalated to assist 200,000 people in desperate need. Food and clean water remain in short supply yet many are dependent entirely on handouts to survive. Helicopters have been running supply drops to more isolated communities outside Palu, where the full extent of the damage is still not entirely clear. The Red Cross said Monday it had treated more than 1,800 people at medical clinics and administered first aid to a similar number in the immediate disaster zone. Indonesia sits along the world’s most tectonically active region, and its 260 million people are vulnerable to earthquakes, tsunamis and volcanic eruptions.